FILE - Papua New Guinea's Prime Minister Peter O'Neill stops for a photo as he attends an investment conference in London, Britain, April 24, 2018. 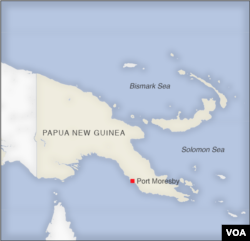 A state of emergency has been declared in Papua New Guinea after rioting in the remote Pacific island's Southern Highlands province. Angry demonstrators looted and set fire to several buildings in the provincial capital of Mendi last week, including the residence of governor William Powi, after a court dismissed a legal challenge to Powi's 2017 election. Rioters also torched an airplane belonging to the national air carrier. Prime Minister Peter O'Neill has declared a nine-month state of emergency, deployed troops to the province, and suspended the provincial government. He has granted Thomas Eluh, a former policeman, constitutional emergency powers.